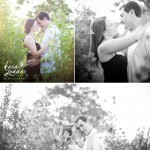 I had so much fun photographing Rachel and Rob on a foggy evening recently, they are so sweet. So in love. My FAVOURITE subject to shoot…couples in love :) Looking forward to their gorgeous wedding next May.. xo K.
Karen and Rob were naturals in front of the camera…seriously…they didn’t even need to warm up. 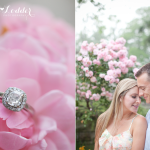 My first shots were just as awesome as the last… SO excited for their beautiful wedding in September :) Enjoy! xo K.